The trip over Besseggen between Memurubu and Gjendesheim is one of the most popular mountain tours in Norway. The view from Besseggen over the lush green colour of Gjende and the crystal blue of Bessvatnet is breathtaking. The spectacular green gets its hue from the glacial water in the area, and the trip over the mountain is a great opportunity to see both the lakes, and let the magnificent view take your breath away. You might even encounter reindeer! Besseggen is also referred to as Besseggi, and Besseggen itself is the ridge between what is called “bandet” and “Veslfjellet”. 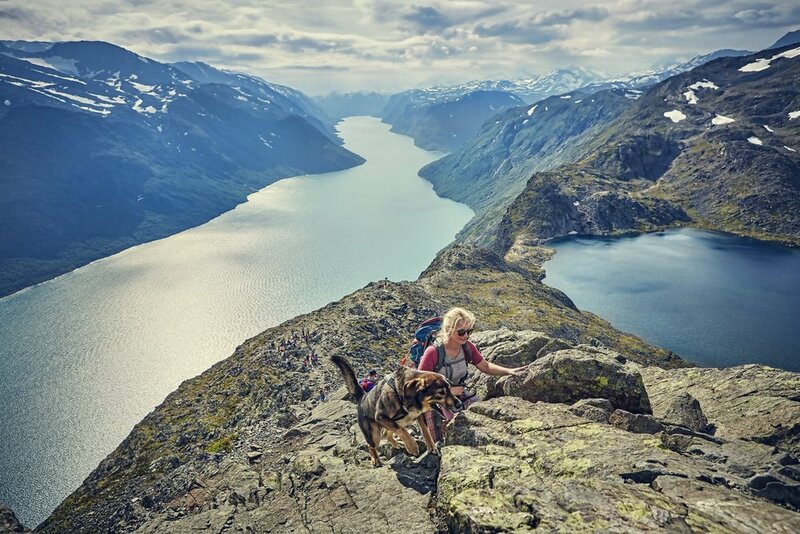 The tour is one of the most popular mountain hikes in Norway, and is trodden by about 45,000 trekkers each year. You can walk from Memurubu to Gjendesheim, and vice versa. Memurubu to Gjendesheim is probably the most common route to take, but the other way round (Gjendesheim to Memurubu) is said to be for the tougher trekkers. One thing’s for sure – the view is magnificent, whichever way you go. Besseggen is a route that most people choose to take slowly, because it is both tough and very picturesque. 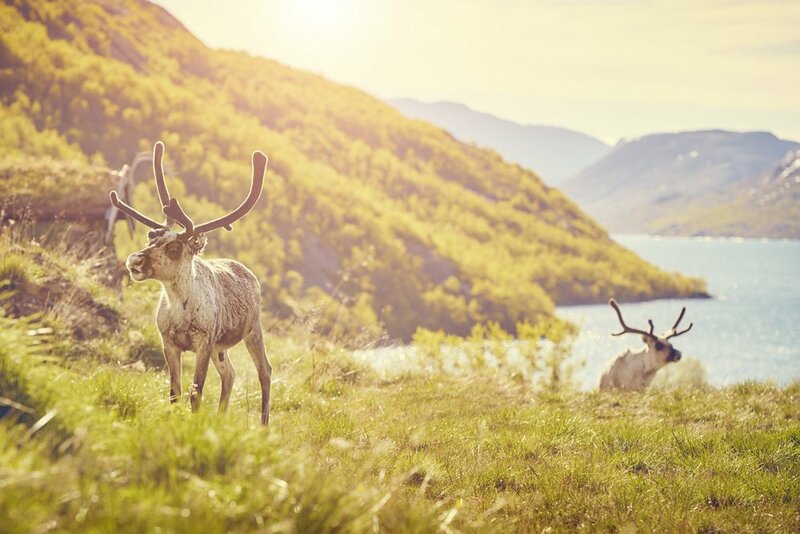 In principle, you can walk over Besseggen all year round, but most people choose to take the trip in the summer. If the winter has seen a normal amount of snow, Besseggen should be snow free from the middle of June to early October. 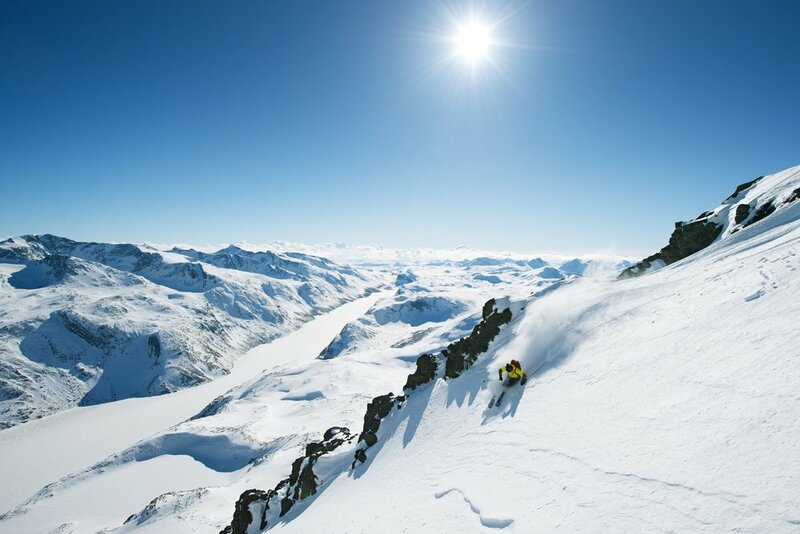 Besseggen is becoming an increasingly popular part of the Haute Route for those experienced with peak trekking on skis. 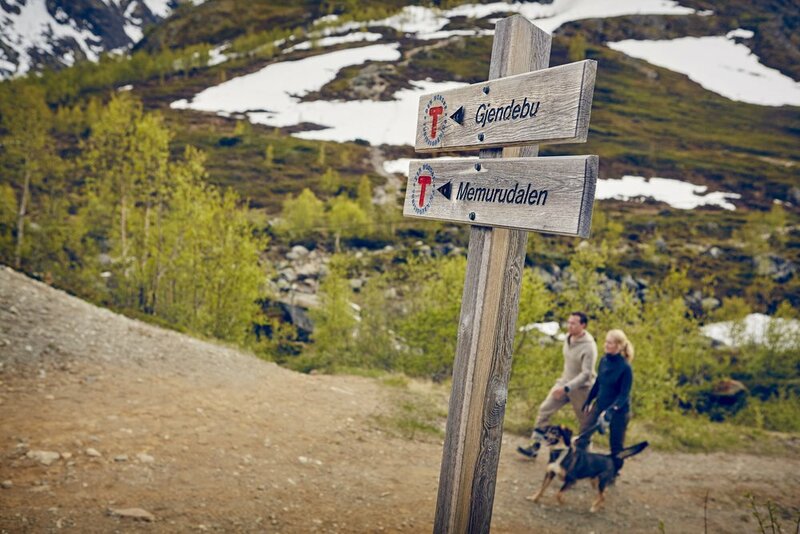 There is a lovely walk along lake Gjende from Gjendesheim to Memurubu if you are looking for an easier hike, or if the weather is rough.